An MBAC gift certificate can be the perfect gift for someone this holiday season and includes an additional gift as well. 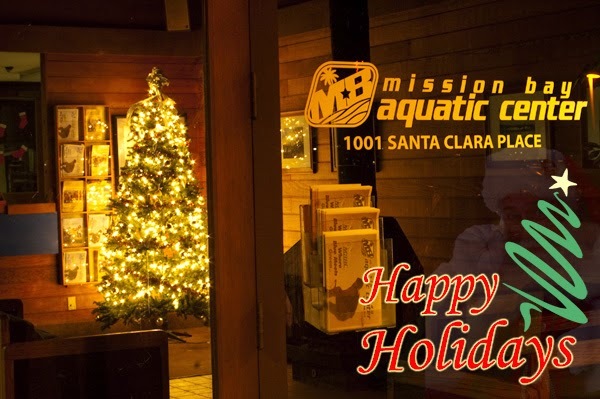 Purchase a gift card between now and December 14 and MBAC will throw in an additional certificate for a SUP or Kayak Rental. Enjoy it yourself or stuff it in a stocking for someone special this season. Either way, one of you can enjoy some time on the water as our gift to you! We have gifts for all ages and interests. If you’re on a budget, maybe think about gifting an Intro to Surfing Class ($65) or a Wakeboard Freeride ($69) to those adventure-seekers in your life. For those looking for a more leisurely activity on Mission Bay our Moonlight Kayaking or Stand Up Paddling adventure is a great deal at only $49 per person. If you’re looking to splurge a little, consider gifting a Basic Keelboat Sailing class ($245) or even a four-session Wakeboarding or Waterskiing class ($159). There’s something for everyone! Purchase a gift certificate by December 14th to make sure that you receive it in time for the holidays and we will automatically send you your additional free gift certificate in the mail.